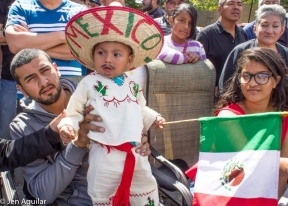 Thousands of people lined 26th street on Sunday to help the Little Village Chamber of Commerce (LVCC) celebrate the 46th annual Mexican Independence Day. As one of the largest parades in the country, hundreds of floats and performers entertained the large crowd down the 2.5 mile famed business corridor. Governor Bruce Rauner, Mayor Rahm Emanuel, and Theresa Gutierrez, who served as this year’s first woman grand marshal, attended this year’s parade. 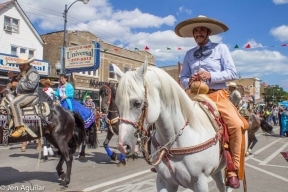 “This year we highlight the past and the contributions of the early entrepreneurial pioneers that helped shape the business community in Little Village,” said Jaime Di Paulo, executive director of the Little Village Chamber of Commerce.